Has the eurozone learned from its Greek odyssey? Greece will formally turn the page on its debt saga this week, but the eurozone remains vulnerable to further crises, with economists particularly worried about the situation in Italy. After eight long years and three austerity-heavy bailouts, Athens will on Monday formally leave the financial rescue umbrella of its creditors from the EU and International Monetary Fund. But while both European and Greek politicians have hailed its return to the markets as "historic" good news, serious challenges remain for the 19 countries that use the single currency. 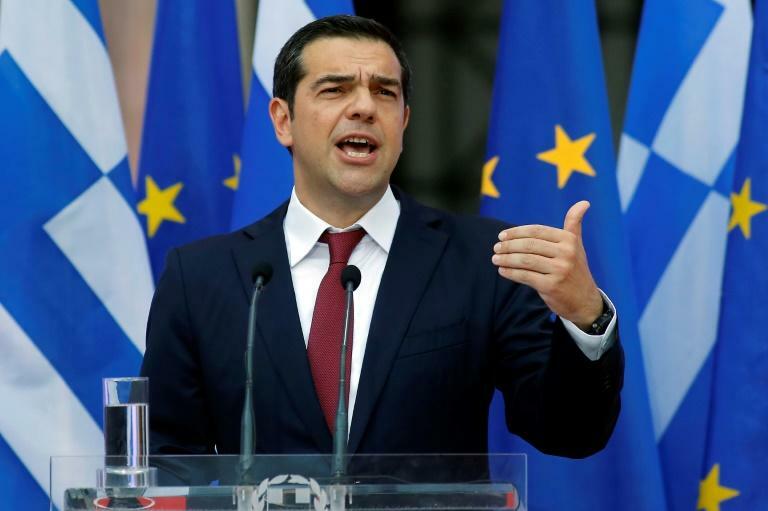 "The Greek crisis has not been solved, it has just been postponed," said Charles Wyplosz, Professor of International Economics at the Graduate Institute of International and Development Studies in Geneva. Athens will not even start to repay until 2032 the bulk of its huge debt, which remains at a colossal 180 percent of Greece's gross domestic product. In the meantime it is impossible to say where the country will be politically and economically. The IMF has in recent months issued a series of warnings about the long-term sustainability of Greek debt despite the eurozone's latest arrangements to reduce it. Wyplosz criticised the EU's "spectacular cynicism" during the crisis. "The problems weren't solved but they pretended to believe they were." "One way or another it will explode. Greece will be in crisis again well before 2032." 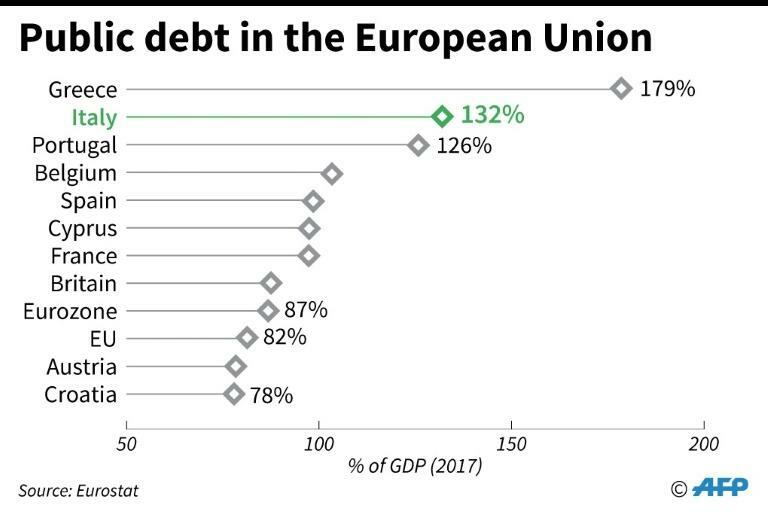 "We have in no way resolved the problem of public debt, which remains large in Italy, Greece and Portugal, despite their efforts," warned Anne-Laure Delatte, deputy director of the French global economy research body CEPII. European heavyweights France and Spain also have significant debt, which could further weigh down the eurozone. "Debt is a factor in vulnerability, which can be so violent that it passes onto the markets," added Delatte. But other countries that have adopted the euro have seen their debt fall and so the single currency area is increasingly polarised between the "good students" and the others, with diverging interests. The first group back budgetary rigour and spending controls -- the second call for more solidarity. Italy is becoming a serious risk for the eurozone because of its debt, its fragile banks, and above all because of a populist government that seems bent on confrontation with Brussels, say economists. "You've got a country with debt at 130 percent of GDP, serious internal problems, a dirty banking system, and now it's led by people who don't know what they're going to do. The threat is very clear," said Charles Wyplosz. The new Italian government's economic strategy is still fluid, with contradictory signs coming from Rome. But the deadly collapse of a motorway bridge in Genoa last week saw clashes between Italy -- especially its far-right interior minister Matteo Salvini -- and the EU over its spending limits. 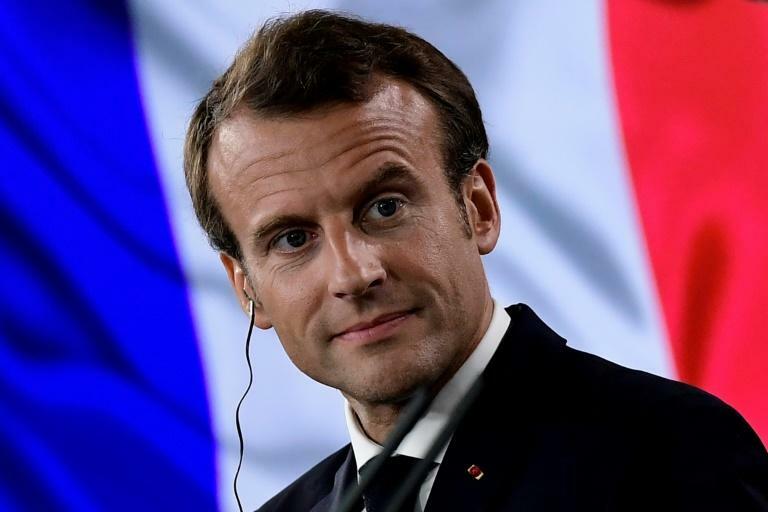 "The eurozone doesn't have the tools or the institutions right now to deal with a serious Italian debt crisis," said Philippe Martin, a professor at the prestigious Sciences Po university in Paris, who is close to French President Emmanuel Macron. The debt crisis has allowed the eurozone to strengthen itself, particularly with the creation of the European Stability Mechanism, the bloc's bailout fund, and the reinforcement of so-called banking union, which sees the same rules for all banks. But the reforms remain unfinished and a push by Macron for further steps -- including a dedicated budget for the eurozone -- still face hostility from the austerity-minded north, which fears paying for the debt-ridden south. "I am not sure there will be agreement on what the euro should be," said Nathalie Janson, from the NEOMA business school in Rouen, France. "The euro has finally become a chaotic currency with permanent turbulence, whereas it was originally designed to guarantee stability."